Update: Newly found issues with the build added to the list. Microsoft is now seeding a new Windows 10 Redstone 2 build 14926.1000 (10.0.14926.1000). The information about the latest R2 build leaked a few days ago. The latest Redstone 2 PC build 14926 and Mobile build 10.0.14926 is now available to fast ring insiders. We’ve improved scaling for full-screen games where the aspect ratio doesn’t match the native display resolution, for example, when playing Counter Strike: Global Offensive using a 4:3 stretched resolution. We fixed the issue where some people would experience a bug check (bluescreen) after plugging/unplugging certain types of Kindles such as the Paperwhite and Voyage. We fixed an issue potentially resulting in the taskbar no longer auto-hiding when a full-screen window has focus (for example, when watching videos, gaming, or when using Remote Desktop). Note: If there’s an app that is asking for attention, it’s by design that the taskbar won’t hide (so you can see that there’s something trying to notify you). UPDATED: For keyboard users, using tab to navigate the Settings app will not work in this build. The arrow keys should work as a temporary workaround. ADDED: We are also investigating reports that after upgrading to Build 14926, some phones lose the ability to use their SIM card. A hard reset also fixes this issue as well. Previously, the company released Windows 10 Mobile build 10.0.14915 for insiders. 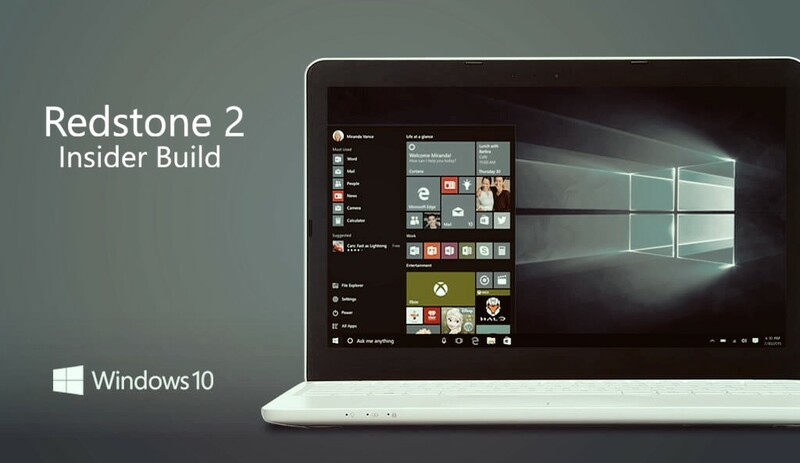 Microsoft warned insider members that initial Redstone 2 builds will be more buggy than usual. Microsoft next major updates Redstone 2 and Redstone 3 are coming in 2017.